There are very few accidents on the highways quite as serious as a crash involving an 18-wheeler, especially when multiple vehicles are involved. While individual motorists could well contribute to the causation of an accident, the mere size of the tractor-trailer can do immense damage to both vehicles and passengers alike. Unraveling a big-rig accident is also often complicated when there are multiple drivers involved because each party will have a version of events being presented by their legal representation in an effort to maximize the claim value of their clients. And of course, especially when the truck driver is primarily at fault, the trucking company and their insurance provider always work diligently at reducing the amount of each and every claim because there are always ample resources available for making an injured victim whole in financial recovery. This possibility is why it is vital to have an experienced accident attorney representing your case when the negotiations get intense. After retaining a car accident lawyer, the first step they will take is a full investigation of the wreck that will include a reconstruction of the accident along with assessing the physical condition of the truck after the crash. Many times crashes occur because the truck driver has been lax regarding required truck inspections and equipment malfunctions that should have been recognized as a problem before the crash. Trucking companies are in business to make a profit, and cutting corners is common instruction to the drivers for many transportation companies. An investigation can also include the citation history of the driver or the shipping company in general, which can indicate the company routinely rushes the drivers for quicker delivery times that ultimately result in more business. Truck drivers that are cited for driver under the influence during an accident could also result in the possibility of punitive damages for both the driver and the company. Every trucking company has extensive insurance on their rolling stock liabilities, regardless of whether the driver is an owner-operator or a company employee. When owner-operators are involved, there will more than likely be two insurance companies negotiating on behalf of the negligent truck driver as well as insurance providers and attorneys for other motorists with injuries or property damage. Trucking accidents are well-known for resulting in fatalities and very serious injury, and all parties will be arguing for a larger portion of the available insurance coverage based on comparative negligence percentages. Deflecting blame to other motorists is a common negotiation tactic for insurance companies and shipping businesses alike, and any car accident lawyer can evaluate this potential complication immediately after reading the accident report and investigating the incident. Many times truck accident case settlements are difficult and frustrating experiences because the responsible parties are in disagreement on the amount of compensatory damages that should be paid to each injured victim. Standard damages include coverage for medical bills and lost wages, but determining the actual whole damage value is a process that always requires an experienced injury lawyer who can compare long-term prognosis of similar accidents and recovery values. Pain-and-suffering award calculations are not always a scientific process, and a personal injury lawyer can provide excellent representation when dealing with a problematic insurance or shipping company. Cases that could result in extensive punitive damage awards based on gross negligence are often the ones that find their way to a full trial because punitive damages can only be awarded by a jury. 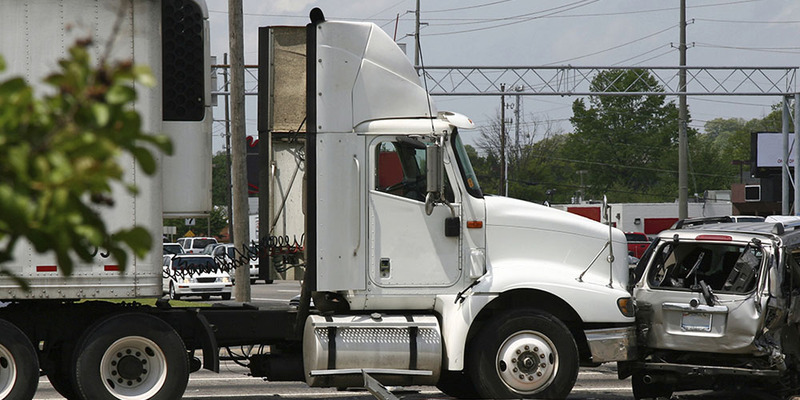 Trucking accident cases are almost always complicated and well-defended legal cases that require an experienced car accident lawyer or injury lawyer that serves as your personal professional negotiator when the respondents are bargaining in bad faith. Always get a solid aggressive attorney who understands the tactics used by opposing legal teams and insurance adjusters.